There may be a connection between the parental ambivalence that contributes to BPD and parental neglect as mentioned in your above post. If you have one parent who is significantly ambivalent about parenthood, then the other parent almost by definition has to be be compromised in their own way, leaving the kids, while perhaps not neglected in a material sense, neglected in an emotional modeling sense. 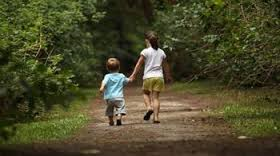 The elder children learn to cope in whatever pathological way that was most effective, and teach the younger siblings, exclusively through modeling, how to cope with their neglectful situation. I wonder if anyone has researched on this kind of less explicit neglect scenario? There is precious little research on family dynamics at all; I see them clinically because I ask probing questions to my therapy patients about family interactions. On that basis, yes, I see a lot of this pattern with my patients with borderline personality disorder. Just saw this posted on Psychology Today. Pretty frightening. For years, I have been struggling to understand why my younger siblings shut me out. I was the only child (female) of marriage #1. Mom remarried when I was 6 and had 4 more children. She was busy dealing with my stepdad alcoholic abuser and I was placed in the role of helpful aunt. It was so weird to be the oldest of 5 and yet feel like an only child. I used to always blame my stepfather since he also (and his family) made certain I was treated like an outsider and created wedges between us. It is only recently have I even dared to see my Mother's role in this. He committed suicide and after that I thought there would be a shift as they became adults and his influence waned, but it did not happen. I was a bad sister-mom. I resented them and was not kind until I was older, I feel bad about this but I was just a kid, too. I was not abusive in any way, but my role meant we never really bonded as siblings do. I never had children since I felt like I already did that and I have a hard time forming relationships. I often feel deeply lonely and isolated from my family. My Mother is closest to two siblings and rarely has time for me. I am heartbroken over this dynamic and have spent many years trying to close the distance but all in all my attempts to get close are met with a passive agressive resistance. This causes me so much emotional grief. I am a good person. I did not deserve any of this that has happened to me. Your blog post is the first thing I have ever read that has absolutely described my dynamic. Thank you for putting into words something I have long suffered form and could not put my finger on as why. Honestly, I do not know how to accept this or process this. If you have access, a therapist who is familiar with family dynamics might be able to help you, although therapists who know how to do that are getting hard to find. The therapy treatments I recommend that come the closest are listed at the end of my post http://www.psychologytoday.com/blog/matter-personality/201205/finding-good-psychotherapist. You can ask about a therapist’s theoretical orientation before making an appointment.